Take in NHL hockey action with Carolina Hurricanes games at PNC Arena in Raleigh, N.C., and get some visitor tips before you go! From Feb. 12 to Apr. 7, 2016, visitors can cheer on the Canes (or the visiting team, if your favorite team is playing in Raleigh) with a selection of 15 home game dates as they compete for the Stanley Cup championship. See the PNC Arena schedule here. Games at PNC Arena offer additional, exciting entertainment for people of all ages. For instance, select games feature pregame parties on the South Plaza that include an inflatable obstacle course, food and live music. Military Appreciation Night, presented by celito, with the Carolina Hurricanes taking on the St. Louis Blues on Feb. 28. Visitors can plan a trip to PNC Arena for the 10th Anniversary Stanley Cup Celebration on Feb. 12 against the Pittsburgh Penguins and Feb. 13 against the New York Islanders. 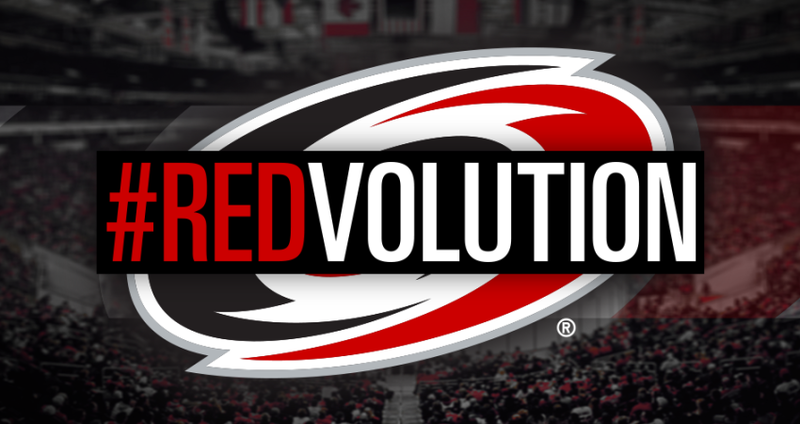 Former Carolina Hurricane greats from the 2005-2006 season, including Rod Brind&apos;Amour and Ray Whitney, will reunite and celebrate the historic championship run. Planned activities include an autograph session with 2005-2006 players, an on-ice ceremony honoring the 2005-2006 team and a commemorative poster giveaway. Prices for individual Carolina Hurricanes home game tickets are divided into bronze, silver and gold categories, which vary based on the opponent, day of the week and date. Bronze games range in price from $30 to $325, silver games range from $35 to $350 and gold games are priced $45 to $425. Tickets for home games can be purchased through Ticketmaster or in-person at the PNC Arena box office. Regular hours are Mon.-Fri., 10am-6pm, and Sat., noon-4pm. On event days, box office hours are Mon.-Fri., 10am (60 minutes after the event begins), and Sat.-Sun., at least three hours prior to the event to 60 minutes after the event begins. Visitors can park outside of the arena for $15 for cars and vans or $30 for limousines, buses, mini-buses and RVs. Parking fees must be paid in cash. Parking vouchers may be pre-purchased at the PNC Arena box office. Concessions feature PNC Arena&apos;s signature N.C. BBQ Company BBQ sandwich with homemade cole slaw (a must-have for those visiting N.C.). Enjoy delicious Carolina barbecue while you enjoy the game. The Arena Club Restaurant also offers exquisite food with a buffet as well as an a la carte steakhouse menu for those preferring a sit-down dinner. Those ages 21 and older can taste delicious Raleigh area craft beer, including brews from Aviator Brewing Company, Big Boss Brewing Company, Carolina Brewing Company and Lynnwood Brewing Concern. Prepare to tailgate! Tailgating is permitted; however, cars must occupy only one parking space and personal grills are permitted in parking lots only. They may not be used on sidewalks, near buildings with or without canopies or in any area where guests or property may be damaged. Take some burgers and hot dogs and have a cookout before the game on warmer days! Get even more info. during the games with these official apps!